Hearts manager Craig Levein was critical of the referee after his side were beaten 2-1 by Rangers. 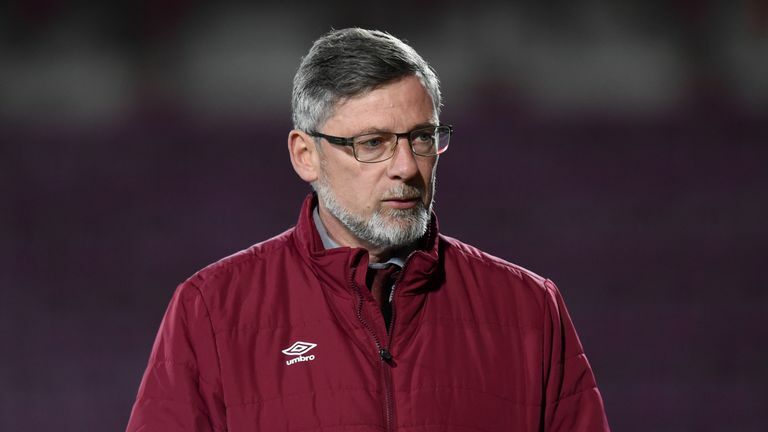 Hearts boss Craig Levein launched an astonishing tirade at referee Bobby Madden as he insisted Rangers had a "12th man" in their 2-1 win at Tynecastle. Levein criticised Madden's "abysmal" performance as Steven Gerrard's side claimed all three points to go top of the Scottish Premiership thanks to goals from Connor Goldson and Alfredo Morelos. Hearts took the lead through an own goal from Gareth McAuley but Rangers fought back and held on to win despite Scott Arfield seeing red for a two-footed challenge on Jambos goalkeeper Zdenek Zlamal. However, Levein said Morelos should have also been sent off in a fiesty running battle with home skipper Christophe Berra. "I read a quote from Neil Lennon a few weeks ago when they went to Celtic Park and he said that 'we were playing against 12 men'," Levein said. "That's how I feel today. "How Morelos stays on the park and gets through that without a booking I'll never know. Some of the decisions today were abysmal. "Morelos had loads of fouls where he doesn't even watch the ball. He just jumps into the centre-backs. "There was one where he has smashed Christophe and Bobby said to one of our players: 'It's alright, that's just Morelos - he's a bit silly sometimes'. Well maybe I'll tell our players to be silly because you don't get booked for it! "Austin [MacPhee] phoned [Scottish Football Association head of referees] John Fleming a while ago after we had three goals against us that were offside because the linesman made mistakes. "John Fleming suggested that we held the line on the 18-yard line to make it easier for his officials. So we did that today and they still got it wrong! "Actually, it's 13 we are playing against. And the good thing is that Neil Lennon didn't get any punishment - that's good to know. It's really good news that there won't be any punishment." Asked if he had sought out an explanation from Madden after the game, Levein added: "What's the point, unless he's got a time machine and can go back to fix his mistakes? Coming up for Hearts is a midweek trip to St Johnstone, while Rangers will welcome Aberdeen at Ibrox.